Honda Canada reported a record month of November on sales of 14,761 units by its Honda and Acura divisions combined, up 2.3 percent compared with the same month in 2014. DETROIT/MONTREAL -- Boosted by continued strength in trucks, Canadian sales rose 4.7 percent in November to 145,426 light vehicles, an industry report said today. General Motors led the way, followed by Fiat Chrysler Automobiles, Ford Motor Co., Toyota Motor Corp. and Honda Motor Co., according to the monthly DesRosiers report. GM Canada said its Chevrolet, Buick, GMC and Cadillac dealers delivered 21,812 vehicles in November 2015, up 13.2 percent compared with the same month in 2014. FCA Canada said its November sales rose 0.6 percent to 21,038 vehicles in November from the same month in 2014, driven largely by demand for its Jeep brand. Ford Motor Co. of Canada said sales during the month improved 3.1 percent to 20,695 deliveries while Toyota and its Lexus brand said their combined sales grew 5.7 percent to 15,830 vehicles. Honda Canada Inc. reported a record month of November on sales of 14,761 units by its Honda and Acura divisions combined, up 2.3 percent compared with the same month in 2014. Both FCA Canada and GM Canada reported a rise in auto sales for the first 11 months of 2015, versus the same period in 2014. "These results represent our best November sales month since 1999 and our best (year-to-date) sales results in the 90-year history of the company," said Dave Buckingham, COO of FCA Canada. 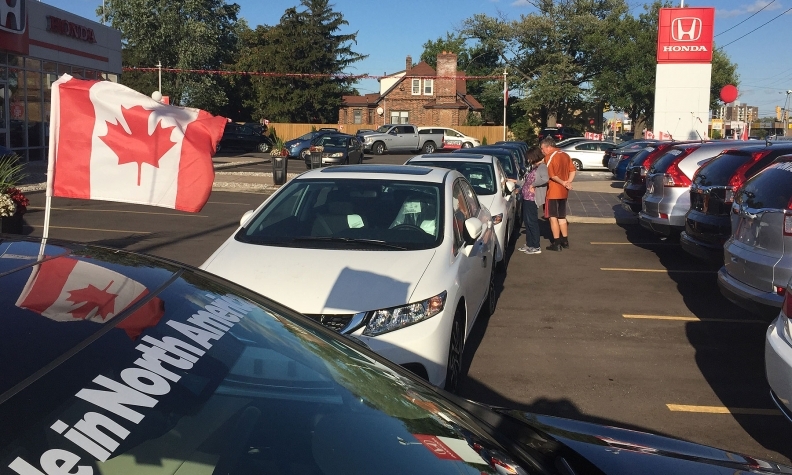 The data came after Canadian vehicle sales beat expectations in October, with DesRosiers Automotive Consultants forecasting 2015 as a record year for auto sales. Automotive News and Reuters contributed to this report.